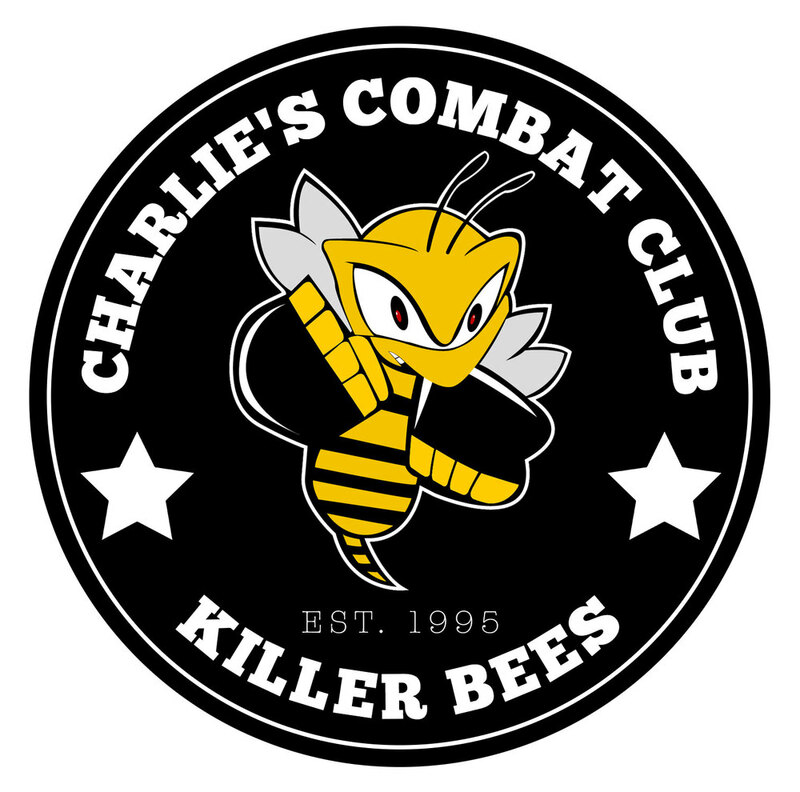 Kids Club aka "Killer Bees"
The Charlie's Combat Club(C3) kids program is called the "Killer Bees". The Killer Bees program is designed for children aged 6-12 years old. Our classes focus on developing martial arts skills with a focus on discipline, respect, fitness, goal setting and the ability to follow directions. C3 uses a unique and proven martial arts curriculum that rewards children with progressives belts and stripes for achieving their goals. Knowledge: We use a comprehensive curriculum that is proven to develop skills. We hold frequent "Mat Chats" in our Killer Bees program to makes sure that our kids learn not only the techniques of martial arts but the history and purpose behind them. Sweat: We now live in a world were kids spend more time on video games, tablets and cell phones than ever before. C3 understands the importance of physical activity and we strive to make our kids as strong as possible. Fun: Learning the martial arts is all about repetition of technique. We disguise repetition in various forms of fun training drills and live scenarios so that the learning curve is greatened without becoming boring. We don't play games in our children's classes, instead we encourage the kids to have fun through different classroom activities. C3 has been teaching kids for over 20 years and our biggest compliment is that children that we have trained in the past are now bringing in their kids to train with us. If your interested in having your child evaluated for this program, please click the box below and fill out the form. One of our coaching staff will promptly contact you.